Take some of the work out of homework. Bordes redondeados y madera en este escritorio primordial. Un cajón para lapiceros para ser ordenados que se puede armar en el lado derecho o izquierdo. Disponible en color gris ceniza, nogal (walnut) / gris o ceniza blanca. 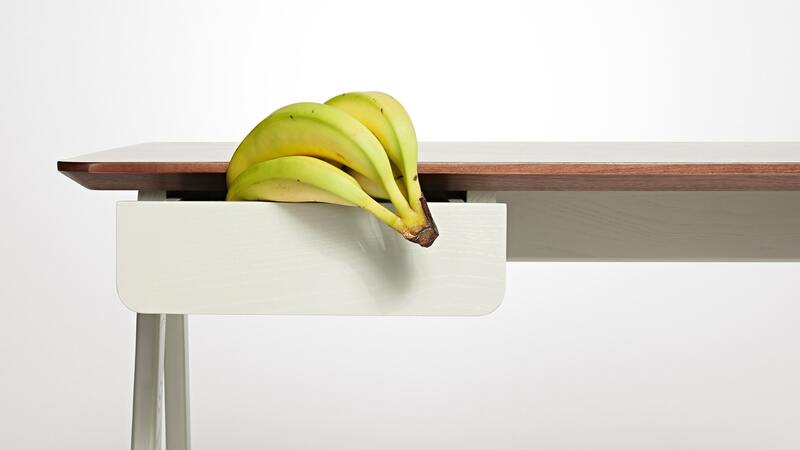 We designed Stash to be our first all-wood desk. We had a few desks that combined materials, mostly wood and steel. An all-wood desk would extend the choices for customers but it also presented an opportunity to fabricate the entire desk in one facility that specialized in wood production. And that was an opportunity to reduce costs. We also needed a smaller scale desk. Customers told us that there were looking for something with a smaller footprint that would fit more easily in smaller apartments and flexible spaces. 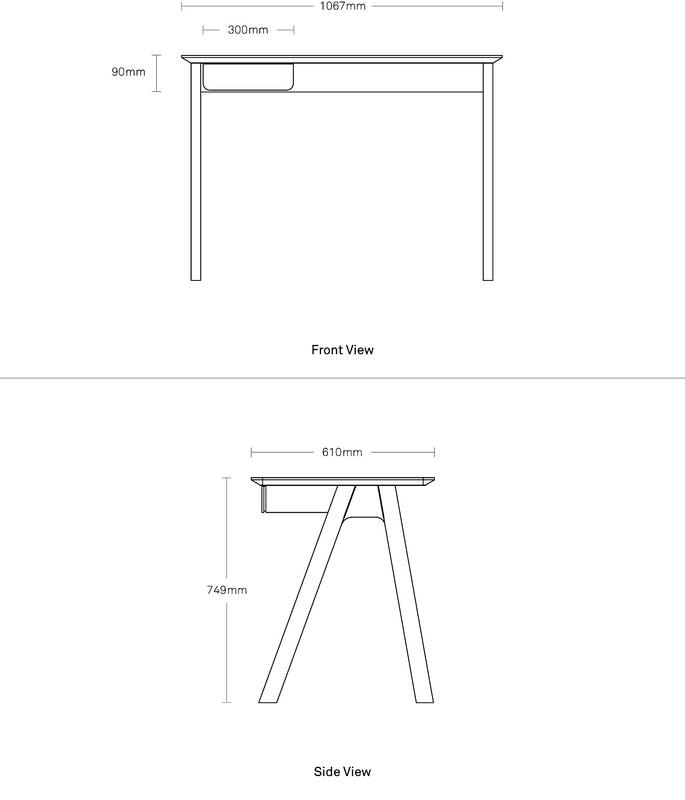 The smaller size combined with the production efficiency allowed us to introduce Stash as our best-priced desk. We still managed to get in a little extra function with the pencil drawer.